he had to be cut out of his car. Nadeau suffered complete immobility of the left side of his body, a skull fracture, concussion, and several broken ribs. He was comatose for 20 of the 25 days he was hospitalized in Richmond before beginning a month of rehab in Charlotte. Every doctor he consulted said another head blow might kill him. 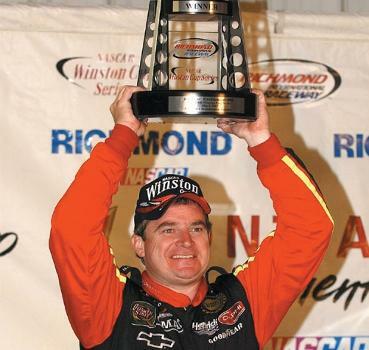 Naduea was replaced by Joe Nemechek. Nadeau has not raced in NASCAR since. 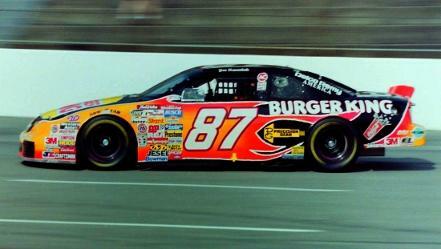 Nadeau worked with the Clay Andrews Racing Busch Series team as a mentor for rookie David Gilliland in 2006; Gilliland went on to win the Meijer 300 and earned a ride with Robert Yates Racing later that season. He later said in a Speed Channel interview in May 2006 that he will "more than likely not race in a Cup car again", but raced in the Old School Racing Champion’s Tour in 2008. 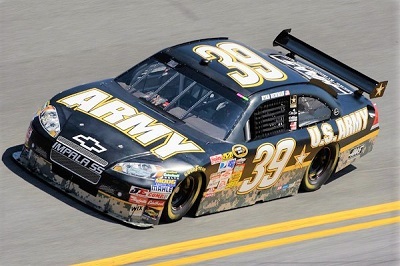 For 2011, Nadeau became a mentor to truck series rookie Jeffrey Earnhardt, son of Kerry and grandson of Dale. For his career Nadeau competed in one Trucks series event, eight Nationwide events, and 177 CUP events. He had the lone CUP series win, and had almost 10 million dollars in earnings. Some info from WikiPedia. Here is a YouTube video of Nadeau's near fatal crash. And one of Nadeau's Atlanta win in 2000.
in the Truck Series; mostly in a start-n-park effort to collect a pay check and help acquire funds to support John Hunters Truck Series efforts. That continued in 2018 as Joe struggled to field a competitive truck so John Hunter couls showcase his talent. Joe started 17 of the 23 races; posting a best finish of third at Daytona. Joe's efforts to help John Hunter seems to have paid off as he made 18 starts driving an Xfinity car for Chip Ganassi; posting one win. It appears John Hunter will drive full time for Ganassi in 2019. To date Nemechek has competed in 435 Xfinity races, he has won 16 races and posted 74 top five finishes. In the Cup series Joe looks to be done, and to date has 667 career starts. He has claimed four wins, and 10 poles. He has 18 top five finishes. He was career earnings of over 56 million dollars to date. Some info from WikiPedia. Here is a YouTube video of Nemecheck's last win. In the picture above is Joe is shown with his brother John. John had a fatal crash in a truck series race at Homestead FL. In the foreground is their mother Martha; a mainstay at all the races herboys raced in. 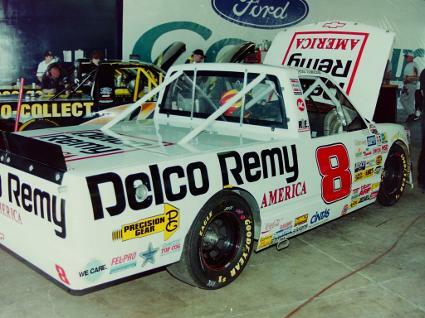 16, 1997, Nemechek was running a Truck race at Homestead-Miami Speedway when with 25 laps to go, he suddenly lost control of his truck and slammed into the Turn 1 wall driver's-side first, suffering major head injuries. He clung to life over the next five days before finally succumbing on March 21, only nine days after his 27th birthday. Joe was able to pay tribute to his brother by winning a Busch Series race that November at the same track (which had been overhauled with a reconfiguration, turning the track into a true oval with six degrees of banking, eliminating the rectangular configuration used in March) that took his brother's life, and also naming his son John Hunter after his late brother. John Hunter has since started racing in the NASCAR Truck series, and is very competitive. 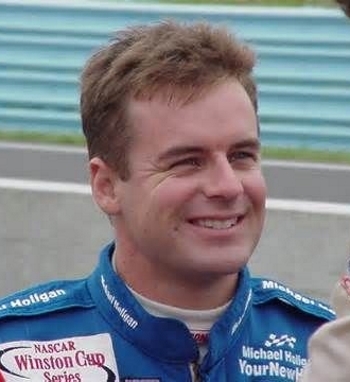 For his career John competed in one Nationwide series race, and 43 Truck series events. He posted four top 10 finishes, with a best finish of 7th. Some info from WikiPedia. 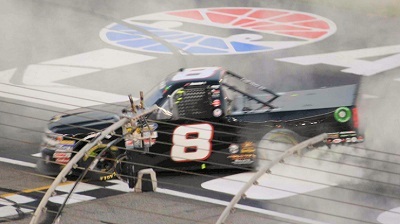 A video of Nemechek's fatal crash is here. 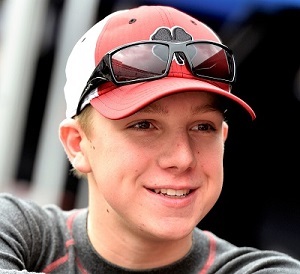 JOHN HUNTER NEMECHEK - 6/11/1997 - is a native of Mooresville, North Carolina; He is the son of Joe Nemechek. 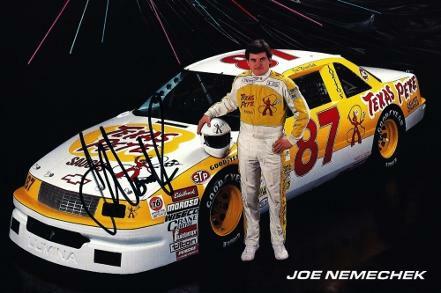 Joe's brother; John Nemechek was killed in a racing accident in a NASCAR Craftsman Truck Series event at Homestead-Miami Speedway, at the time Joe's wife was pregnant. 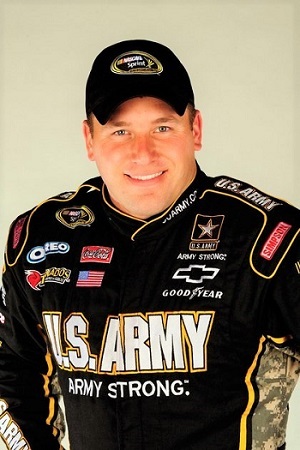 In honor of his brother, and in his memory, Joe and his wife named their child John Hunter Nemechek. John Hunter began his racing career at the age of 5, competing in go-karts, quarter midget cars and in dirt bike competition. He moved up to stock car competition in 2010, competing in the Allison Legacy Series with sponsorship from England Stove Works. In 2012, Nemechek moved up to late model and super late model competition, competing in the Champion Racing Association Super Series and American Speed Association Midwest Tour; he also competed in the World Series of Asphalt at New Smyrna Speedway during Speedweeks. in 2018; running 18 events in both series. 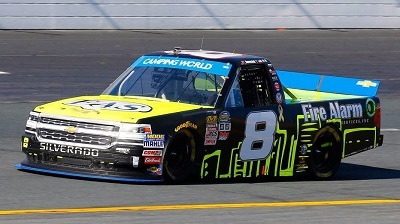 In the Truck Series he posted a win a at Martinsville; and added five additional Top 5's. 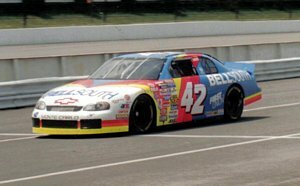 He also drove the #42 machine for Chip Ganassi and posted a win at Kansas; and six additional Top 5's; finishing 13th in the points. It has been announced that he will be driving full time in the Xfinity series in the GMS #23. That seat became available when Spencer Gallagher retired. Some info from Wikipedia. Haas. The move proved fruitful for both drivers as Harvick won the Championship and Newman finished second by one point. Newman also made the Chase in 2015. 2016 saw a down-tick in performance for Newman and his Richard Childress Racing team mates. 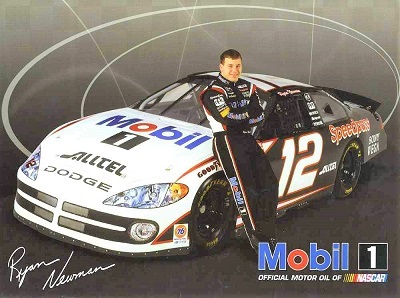 Newman ran poorly often because of poor handling and a seeming lack of power. He finished a disappointing 18 in the final points standings. He posted only two top five finishes and finished off of the lead lap in eleven races. As 2017 kicks off, Newman has accumulated 17 wins in the CUP series in 548 starts; along with 105 top five finishes. 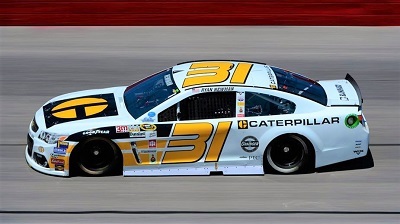 2017 saw him stay with RCR driving the #31 Caterpillar Chevy; He pulled a major surprise winning at Phoenix in just the fourth race of 2017 and broke a 127 race win less streak. Newman had ran mid-pack the whole race; but with just a few laps to go Joey Logano blew a tire bringing out the final yellow. Everyone came in to pit for the big finish - everyone that is but, Newman, Ricky Stenhouse and Martin Truex. Kyle Busch had the best car all day leading 114 laps and was leading at the time of the yellow. 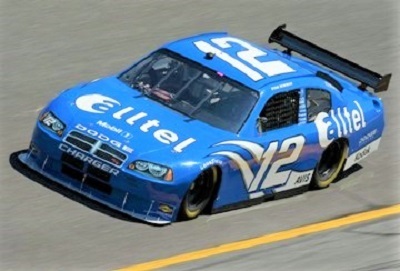 Stenhouse and Kyle Larson made contact on the restart and gave Newman to slip away to the win. It also locked him into the Chase. Newman was only able to post five additional Top-5 finishes in 2017 and was eliminated from the Chase after the first round. He finished 16th in the points. For 2018 Newman returned to RCR racing along with team mate Austin Dillon. Newman had a disappointing season driving for RCR in 2018. He failed to qualify for the Chase and didn't even post a Top 5 finish. 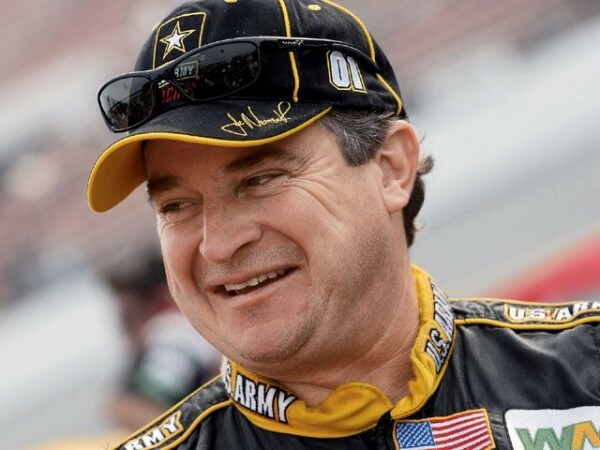 He ended up 17th in points; and may have led to his decision to leave RCR at the end of the season and spend the 2019 season driving for Roush Fenway Racing. He has 51 poles to date, with 18 wins in 584 Cup starts. So far he has over 89 million dollars in career winnings. 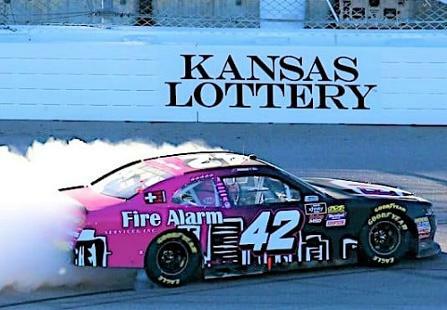 In the Xfinity series Newman has competed in 64 races, claiming seven wins. He has ran seven events in the Truck series, and claimed one victory. Some info from WikiPedia. Here is a video via YouTube of a Newman's wild ride he took at Talladega; and also a video of Newman's Daytona 500 win. 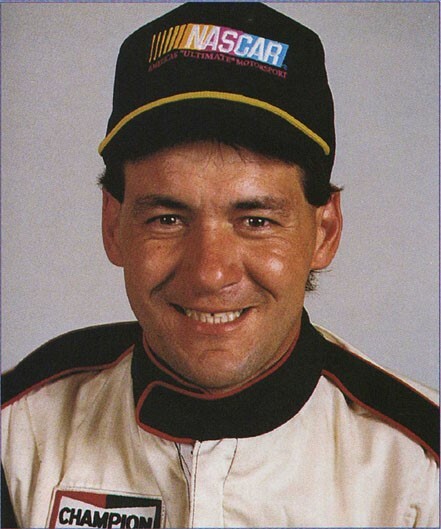 RODNEY ORR - 11/6/1962 - 2/14/1994 - was a NASCAR driver. Originally from Robbinsville, North Carolina, he lived in Palm Coast, Florida at the time of his death. 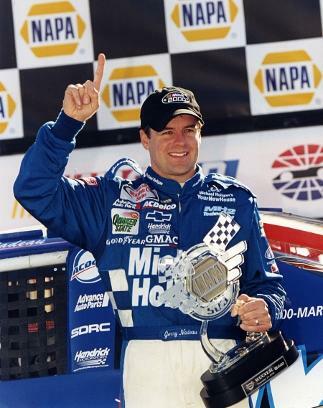 He was the 1993 Goody's Dash Series champion winning 6 races in 25 starts. 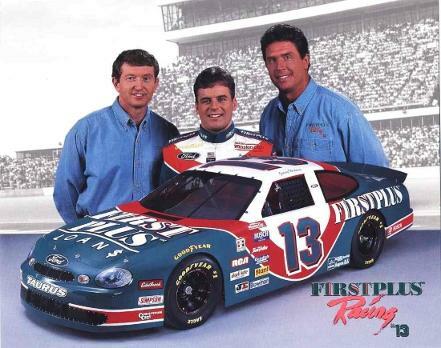 Orr and his father, Beacher, purchased a Ford Thunderbird during the 1993-1994 off-season, and acquired an engine from Ernie Elliott in hopes of competing in the 1994 Winston Cup Series. 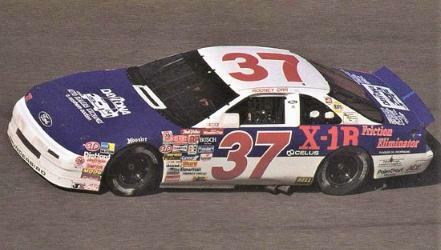 His #37 Thunderbird, sponsored by Bobby Brooks Exxon, recorded the seventh-best time at one test session that winter. 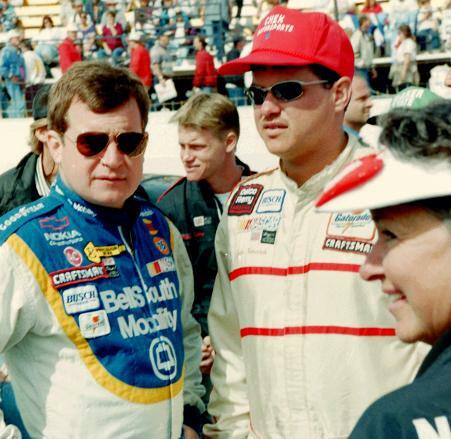 However, before he could run a single race, Orr was killed in practice before the 1994 Daytona 500. Orr was making what is now referred to as a "Mock Qualifying Run", when he spun entering turn 2. 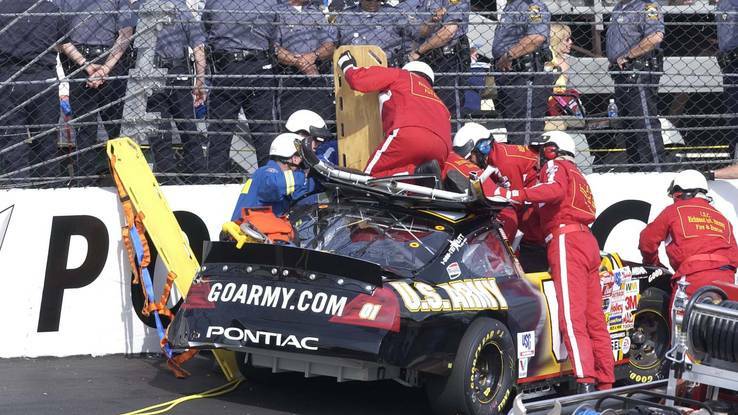 Orr's car lifted up and the car slammed heavily into the outside retaining wall and catch fence with the roof of his car at over 175 miles per hour. Despite the efforts to save him, Orr died instantly of massive chest and head injuries sustained in the violent crash. His death came just three days after the death of Neil Bonnett on the same track. Orr died on February 14, 1994. He was 31 years old. He was survived by his wife, Crystal, and daughter Ashton. A video with info about Orr's crash is here via YouTube. Some info from WikiPedia.